Esri Association With Open Source: Is It Free Too? Everyone involved in geospatial information systems has heard of Environmental Systems Research Institute (Esri)company. Most people have tried ArcGIS software at least for one time. Esri has been the pioneer in this industry for a long time; it also defines the future of geospatial trends. 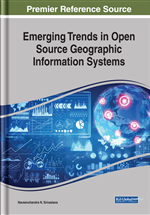 In this chapter, the author adopts a neutral position to discuss the relation of Esri and open-source community. They cover almost every aspect where Esri and open source co-occur. Even the latest achievement of Esri, which is R-bridge, is discussed here. Going into the details of everything is not the goal of the chapter; however, a minimum description is provided for each section. Proper references are given to the reader for further study. In the last few years Esri has contributed to the Open-source community and has announced to be excited being part of the evolving open-source community (ArcNews, 2011). Due to the successful and well-known proprietary software from this company (e.g. ArcGIS Desktop), the question that is brought to the mind is that whether Esri really cares about the open-source or it is only trying to stay in the business market of geospatial technology. Although we should distinguish between open-source and free; If a software is free, it isn’t necessarily open-source and vice versa. In other words, an open-source software doesn’t imply it is free. In fact, most of Esri’s open-source projects belong to the second category and they are not free since they depend on a main commercial product. In the subsequent sections of this chapter, dependencies of individual project will be further discussed. Plenty of other open-source projects from Esri exist that are not covered in this chapter. However, we have tried to compile the highlights here. In addition, Esri has an initiative called ArcGIS for local government; “Maps and Apps” is another name that is in concert with it. ArcGIS for local government consists of several discipline based projects (e.g. Fire, Water and Sewer and etc). Each project contains a map, data, scripts, toolboxes and optionally an application (web or desktop) associated with it.